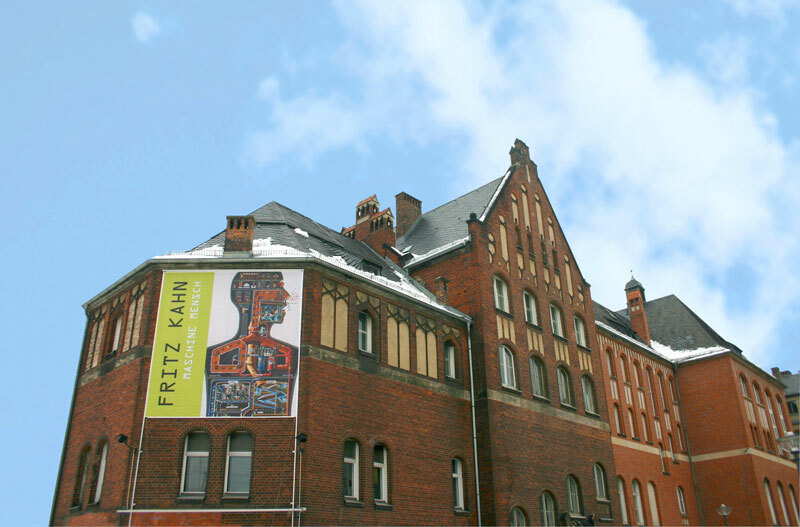 On January 22, 2010, the world’s first Fritz Kahn exhibition, entitled “Fritz Kahn – Maschine Mensch” (Man Machine), opened in Berlin. 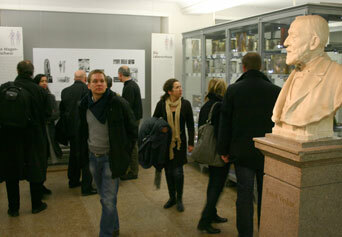 A large attendance of invited guests and press representatives gathered for the vernissage in the Berlin Museum of Medical History. 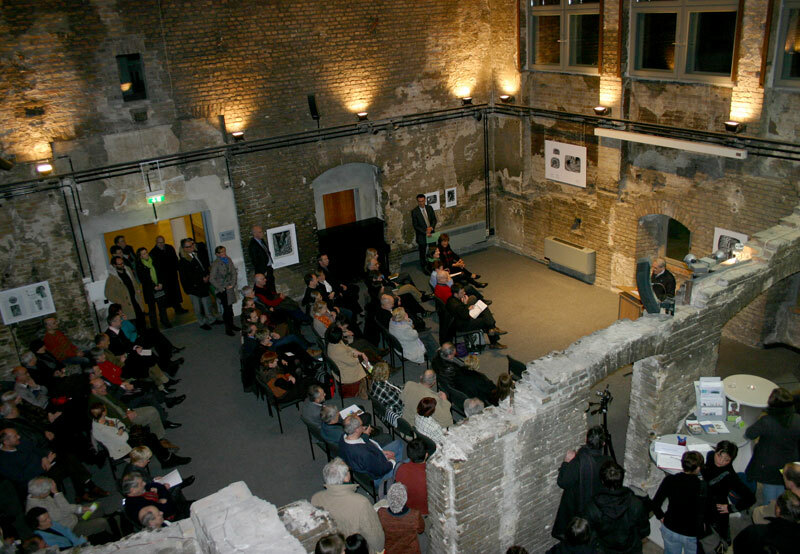 More than 24,000 people visited the exhibition before it closed on April 11, 2010. “Fritz Kahn – Maschine Mensch” was one of the first events of the Berlin Science Year 2010 as well as of the 300th anniversary of the Charité, the famous university hospital. 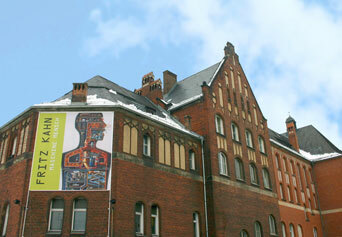 It was specifically designed for the Berlin Museum of Medical History and its exhibition series “Interventions”, which introduces art in a medical context. 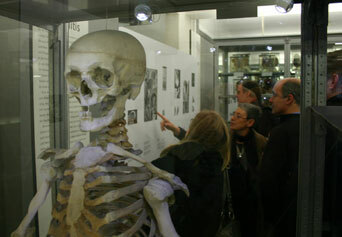 The show presented more than 100 of Kahn’s illustrations in two unique spaces of the museum: the Rudolf Virchow Hall (Virchow’s collection of pathological specimens) and the preserved ruin of a former lecture hall. 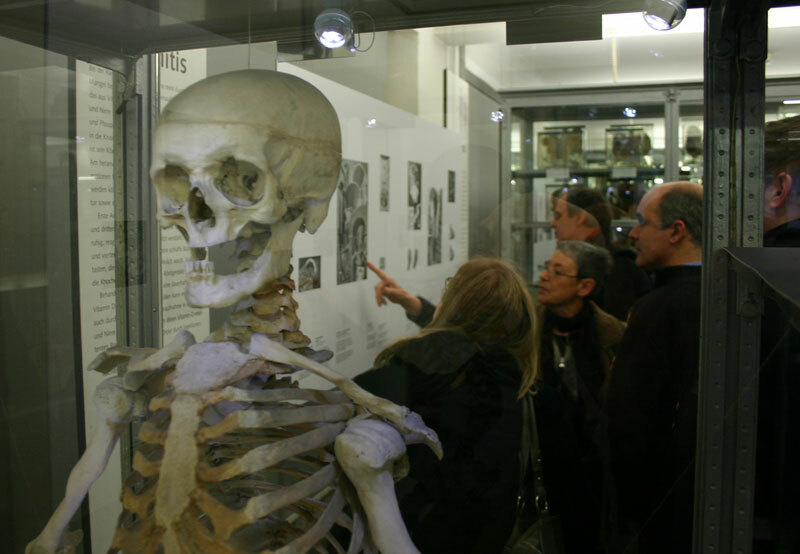 In the Rudolf Virchow Hall, the pathological specimens were contrasted with Kahn‘s extraordinarily vivid visualizations of the same body parts. In the lecture hall, Kahn’s fantastical bodyscapes were presented opposite his man-machine analogies in the style of New Objectivity. The exhibition project was achieved through the cooperation of the siblings von Debschitz: Uta von Debschitz curated the exhibition, and Thilo von Debschitz designed the graphical elements. Ulla Schmidt, former Federal Minister of Health, served as patroness of the exhibition. In 2017, the exhibition Image Factories. 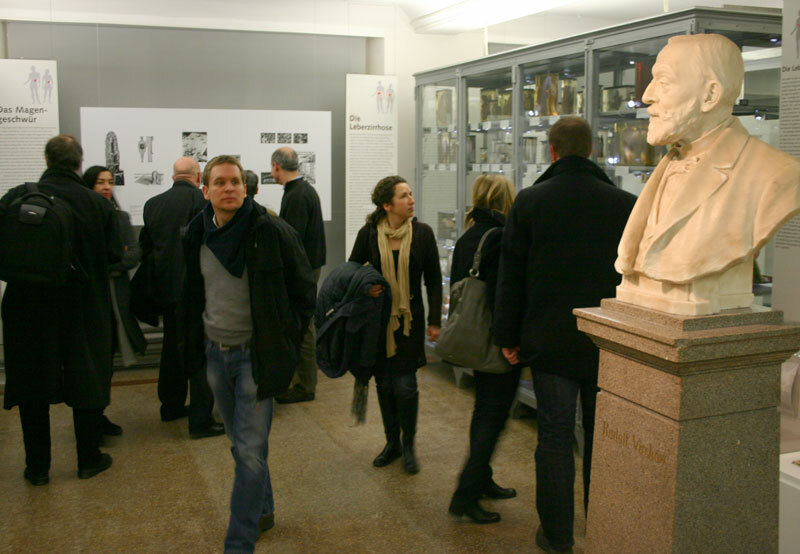 Fritz Kahn and Otto Neurath was opened, a collaboration between the German Book and Script Museum of the German National Library and the Seminar of Communication Studies at the University of Erfurt. The exhibition will travel to Vienna, Reading and New York.